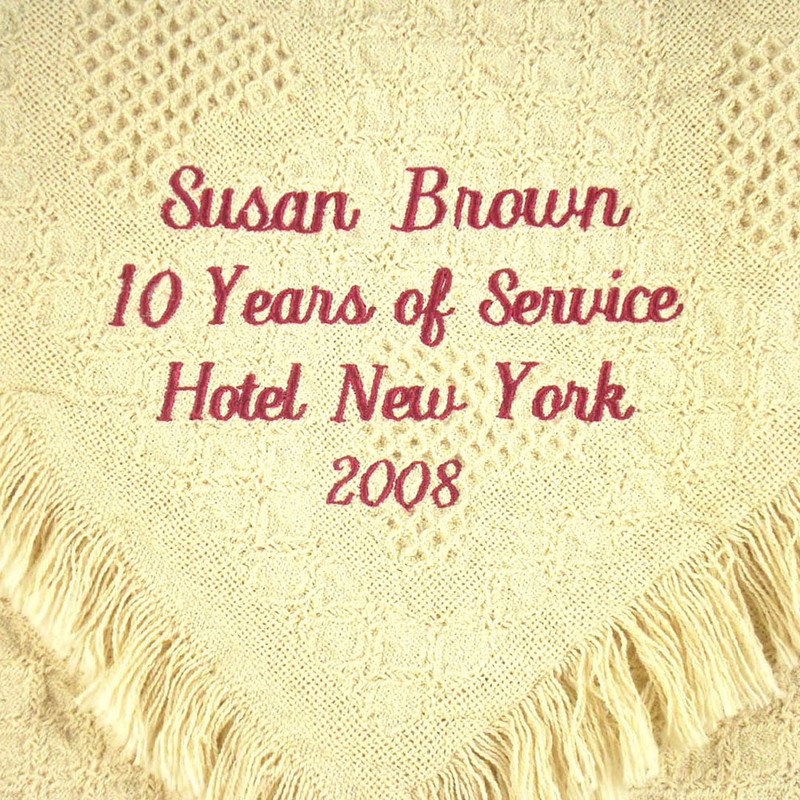 Please enter the employee's name you want embroidered on the throw. Celebrate those special milestones! 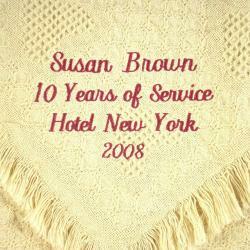 Give our Company Anniversary Throw to commemorate years of service and let your employees know they are appreciated. Natural color 100% cotton throw can be embroidered in your choice of thread colors.